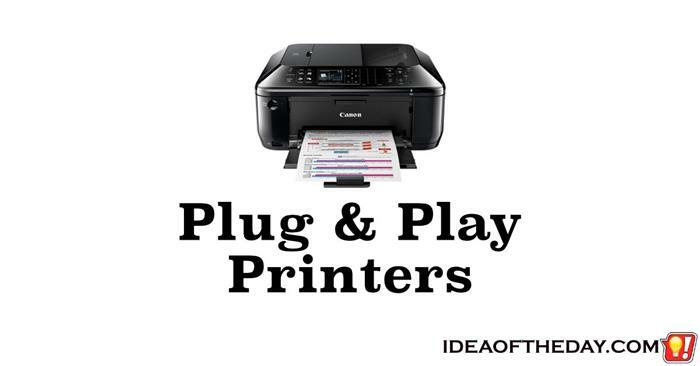 Plug and Play Printers - Printers with built-in drivers. Why the heck do printers still ship with driver CDs? That's totally stupid on so many levels. I remember it like it was yesterday. Back in 1994, Microsoft announced their upcoming Windows 95 would finally eliminate complicated drivers and switches for some devices by introducing what they called "Plug and Play". 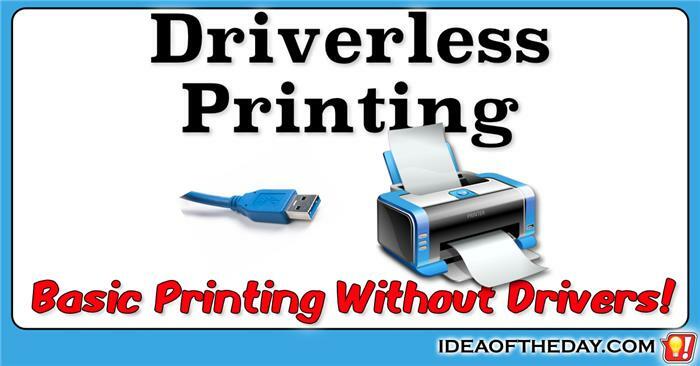 I had high hopes that this concept would eventually not only eliminate configuration switches and jumpers on cards, keyboards and mice, but eliminate drivers for common devices like printers. It's been 21 years, and I still haven't seen much progress when it comes to eliminating printer drivers. Printer drivers are a pain in the neck.